Through their dedication and expertise, our team of professionals have helped to make Perspectives a respected and trusted leader in providing services and support to adults and youth with disabilities in the state of Rhode Island. David founded Perspectives in 1977. Prior to that he was a home Director, a house parent, and worked in a variety of human service areas. He has spent his entire professional career beginning in 1972 working with people with disabilities. 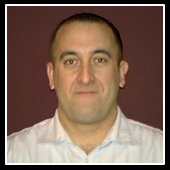 David has a Master's degree in Rehabilitation Counseling and Bachelors in Social Service. His belief in the right of everyone to live in and be part of the community regardless of disability has driven Perspectives' Philosophy from the start. 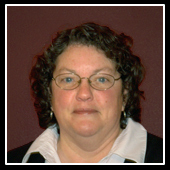 Judy has been with Perspectives since 1988, in the capacity of Assistant Executive Director. Judy's role consists of supervising the Administrative Leadership team and the Clinical team as well as running the day to day operations of the agency. 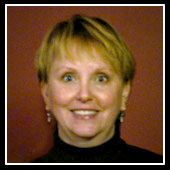 Judy has provided significant contributions to the agency by developing new and unique services such as Youth and Family Services, Transitional School Services, Therapeutic Summer Program, while enhancing Vocational Development Services and creating unique living situations. Judy's focus has been to work with significantly behaviorally challenged individuals. 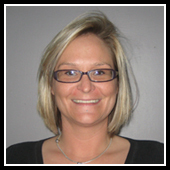 Amy began working at Perspectives Corporation in September 2006, as one of the HR Department Heads. Currently, her disciplines are in Recruitment and Hiring and Workers Compensation. Amy holds a Bachelor of Arts Degree in Administration of Justice with concentrations in court administration and law enforcement and an Associates Degree in Philosophy. She has taken several courses on the Graduate Level for HR Management and holds a Human Resources Certificate from Roger Williams University. Prior to working at Perspectives, Amy had worked in Human Resources specifically in health and mental health centers in RI and MA having extensive responsibilities with JCAHO accreditation. Mary began her career in Human Service in 1978 after graduating from URI with a Bachelor of Science degree from the College of Human Science and Services. Mary worked at the Adeline LaPlante Center, teaching independent living skills to a group of people who would soon be moving to a new group home on Circle Dr. in No. Kingstown. Mary began working for Dave Ruppell as the house on Circle Dr. opened in 1980 and also worked at the Kenyon Ave. and Rodman St. programs until leaving the Agency in 1984 to raise a family and begin work in the Human Resources field. Mary was fortunate to return to Perspectives Corporation in 1995 as the Benefit Coordinator, working at the Main Office as the company grew from 250 to 850+ employees. Mary received her Human Resource Certificate from Roger Williams University in 2000 and has always made excellent customer service for the employees of Perspectives Corporation her top priority. 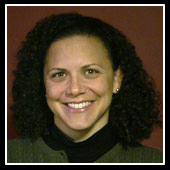 Julie joined Perspectives in January of 1994. She is a Project Director for the Agency. 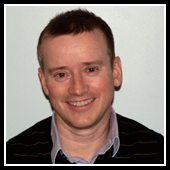 Brian began working at Perspectives in September 2008. He is a graduate of Gibbs College, with a degree in Computer Science and comes with 17 years of experience in the IT field. His contributions to the agency include a complete overhaul of the entire network including all firewalls, computers, mobile devices, printers, virtualization of servers, as well as implementation of a virtual private network and wireless technology at every office and program location. The rollout of laptops along with the VPN has increased efficiency of remote employees who can now work in the field. The fall of 2009 wasDale's 28th year with Perspectives. 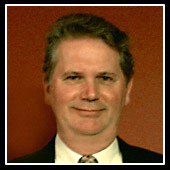 In 1981, Dale began as a part time Direct Support Professional at Heritage while working full time at LaPlante Center. She was hired as the Director of Circle Drive, a position she enjoyed for several years. In the early 1990s she had the opportunity to open a new home, Crestwood Drive. Her next experience was extremely challenging and a unique learning experience, Dale was hired as the Director of both Crestwood and Kings Factory and ran them simultaneously. These experiences, the talented, wonderful people Dale worked with and had the pleasure to serve prepared her for her current leadership position. Casey started at East Greenwich group home in June 1991 as a fill-in and became full-time direct care three months later. In March 1993, Casey became an assistant director at East Greenwich group home and two months later, a psychologist assistant, a position that he held concurrently with his management position. In July 1994, he became the director of Crestwood Drive. In 1996, he opened Moonstone Beach Road (first one) and served as the director of both this program and Crestwood. In 1998, Moonstone Beach Road became Whipple and Casey continued on as Director, adding Riverview and leaving Crestwood. In November of 1998, a temporary Administrator position was posted; he applied and was hired. The position became permanent a few months later. Kim attended the University of Rhode Island. She started working at Perspectives Corporation in 1989 as a job coach at Alternatives Job Placement Center. While finishing her degree in Psychology at URI, Kim advanced her career through the years from direct support (at AJPC and Mockingbird Group Home) to various management positions (at Westerly Group Home, Circle Drive Group Home, Mockingbird Group Home and Spindrift Day/Vocational Program). Kim was promoted in 2003 as an Administrator and currently oversees Perspectives Adult Day Services and Adult Residential Non 24 Services programs. Nancy started with Perspectives in July of 1997. She began her career at Perspectives with the Transitional School Services. Then was hired as an Assistant Director in the summer of 1998 with the TSS program. Next she was hired as the Director of the Coventry Program [Adult Day Services] in the fall of 1998. In the summer of 2000, Nancy was hired as an Administrator overseeing both residential and adult day services. 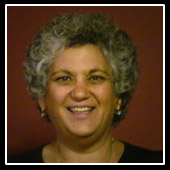 Nancy graduated from RIC in 1990 with a BS in Early Childhood Education-Language Arts Concentration. 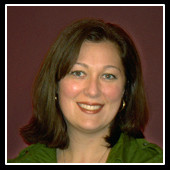 Nancy has been an originating member of the Facilitator's Forum since April 1999. The Facilitator's Forum is a group that welcomes members from all facets of service provision throughout the State that comes together to share skills, ideas and experiences around facilitation. In addition, Nancy is a Leadership Rhode Island alumni from the Beta II class of 2006. Christine came to work for Perspectives in 1999. She is a graduate of the University of Rhode Island with a Bachelor's Degree in Psychology, attended Northeastern University's Masters in Applied Behavioral Analysis program and received her Masters Degree in Education from the University of Massachusetts. 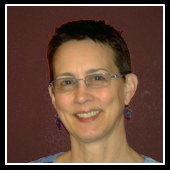 She is a Board Certified Behavior Analyst licensed in the States of Rhode Island and Massachusetts with thirty five years of experience working with adults who have developmental disabilities and significant behavioral challenges. She has expertise in applying Dialectical Behavior Therapy (DBT)Skills Training applying this cognitive behavioral approach to those who have behavioral issues related to impulsivity and emotional regulation. She also has proficiency in training and implementing trauma informed care approaches. Christine has worked in a variety of residential, day and outpatient settings in Rhode Island and Massachusetts but finds her home here at Perspectives because of the agency's deep commitment to core values that support best clinical practice. 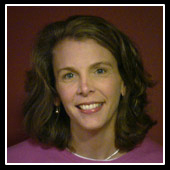 Deb Harbin RNBC graduated from URI in 1991 earning a Bachelors of Science Degree in Nursing. She worked for several years at the VA Hospital in West Haven CT, starting out in neurology and later transferring to psychiatry. Deb started working for Perspectives part time in 1995, eventually leaving the hospital to work full time at Perspectives. She has board certification as a Psychiatric and Mental Health Nurse since 1996. She has personal experience in the human services field, as she and her husband, Marc, have eight children, several who have developmental disabilities. 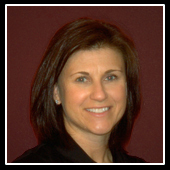 Brenda is a Licensed Independent Clinical Social Worker who has been an employee of Perspectives Corporation since 1994. With over 20 years of mental health experience, Brenda is one of the Senior Directors for the Youth and Family Services division. In this role, she provides clinical oversight and direction to an array of home-based and site - based treatment services for children diagnosed with special health care needs. Brenda has focused much of her career on clinical supervision of intensive home-based treatment, as well as individual outpatient therapeutic services for both children and adults diagnosed with developmental disabilities. Additionally, Brenda has been a leader, both in the Perspectives Youth and Families division and state wide, with regard to program expansion, policy development, and service implementation. 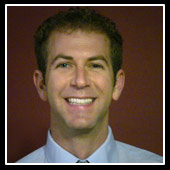 Sean began working for Perspectives Corporation in April 2000, as a clinical supervisor in the children's home-based treatment program. Along the way, he gained administrative responsibilities over Youth and Family Services as the Division began to expand. Sean became a full time Administrator in 2004 for this division. He accomplished his undergraduate degree in psychology at the University of Vermont and his masters degree from the University of Miami in Mental Health Counseling. At this time Sean carries licensure as a Mental Health Counselor in Massachusetts and Rhode Island. Prior to working at Perspectives, Sean was an outpatient therapist in Miami, Florida and for five years in Fall River, MA. Overall, his professional experience has involved working with clients of all ages, providing psychotherapy to individuals, couples, and groups. As a native Rhode Islander it has been a pleasure for Sean to be a professional in the Perspectives family serving the Rhode Island community. Jim has been providing clinical services to the DeafandHard-of-Hearing community since 1995 when he began working as a school counselor at the Center on Deafness in Northbrook, Illinois. A native Rhode Islander, Jim received his bachelor degrees in both psychology and theater while attending the University of Rhode Island. 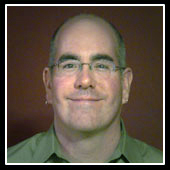 Jim later received his Master’s in Social Work degree at the University of Illinois at Chicago in 2001 and worked as an administrator with Mental HealthandDeafness Resources, Inc., until moving back to Rhode Island in 2003. Jim currently works as the Clinical Director with Perspectives Corporation, YouthandFamily Services Program, and serves as a Commissioner with the Rhode Island Commission on the DeafandHard-of-Hearing. Jim recently became certified as an Expressive Arts Facilitator through Salve Regina University and is excited to be integrating alternative forms of artistic expression as an adjunct to his daily psychotherapy practice. Danielle received her BS in psychology from Bridgewater State University in 2006 and her Masters in Social Work from Boston College with a concentration in Children, Youth and Families in 2009. She holds a LICSW in Rhode Island. A lifelong New England resident, Danielle is Deaf and specializes in Deaf and Hard-of-Hearing services, with experience in both inpatient and outpatient settings, residential settings, and educational settings for children. Currently, Danielle works as a clinician in YFS doing both HBTS and PASS services, primarily with families with Deaf family members. She also works as part of Perspectives' Early Intervention program. Danielle has been working with Deaf children for over a decade and has experience in language development and acquisition in Deaf children as well as positive-based interventions for Deaf children with behavioral and socio-emotional challenges. She also is President of the Rhode Island Association of the Deaf and volunteers her time as a Trustee for the Rhode Island School for Deaf. In May 2005 Rachel graduated with a Bachelor of Arts degree from Rhode Island College, where she majored in Psychology and minored in Management. 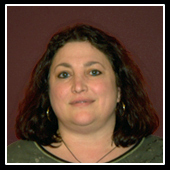 Rachel has been an employee of Perspectives Corporation since February 2007 when she began as a Behavior Specialist and Lead Therapist for the Early Intensive Behavior Intervention team within the Youth and Family Division. In January 2008 Rachel began to learn American Sign Language through classes offered at the agency. In July 2008 Rachel became the Treatment Coordinator for the Deaf and Hard-of-Hearing team within the Youth and Family Division. Rachel works with a team of Clinical Supervisors, Lead Therapists, and Behavior Specialists to support children who have a hearing loss or are part of a family where one or more of the members have a hearing loss. These children have developmental disabilities and/or behavioral challenges that require assistance with communication, social skills, and daily living skills. Rachel contributes to the team by analyzing data, writing reports, supporting Behavior Specialists in the home, and working with Clinical Supervisors to provide individualized curriculum and behavior programs for each client. Rachel has been a Clinical Supervisor with Perspectives’ DeafandHard of Hearing program since 2010. Rachel was raised as a Child of Deaf Adults (CODA) by her Deaf parents in Rochester, New York. Rachel was brought up in Rochester by the Deaf community, CODA's and was exposed to the hearing culture through school, and social events. Rachel received her Bachelor’s degree in Social Work at Daemen College, Buffalo New York in 2003 and later received her Master’s in Social Work at the University of Connecticut in 2006. At the University of Connecticut, Rachel majored in Group Work practice and minored in Women, ChildrenandFamilies studies. Rachel is a skilled American Sign Language and has an interest in expanding her work with groups in both outpatient and home-based therapeutic services. Born and raised in Rhode Island, Heather graduated from Rhode Island School for the Deaf, along with a part-time mainstream experience. 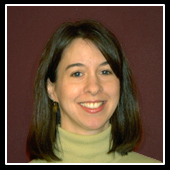 A native ASL user, Heather started working for Perspectives in 2007 as a Behavior Specialist and began working intensively with Deaf and Hard of Hearing children in the Home-Based Therapeutic Services program in addition to the Therapeutic Classroom for the Deaf. Eventually, she became the Program Manger of the D/HOH HBTS program, and is an ASL Instructor. A dedicated advocate for the Deaf, Heather continues to be involved with the Deaf community by volunteering her time at organizations such as the RI Commission on the Deaf and Hard of Hearing, and the RI Registry of Interpreters for the Deaf. She resides in North Kingstown with her husband, two children, a dog and a cat.